Schoolchildren are being targeted in a major campaign in development which aims to create an "anti-littering culture" in the space of a generation. 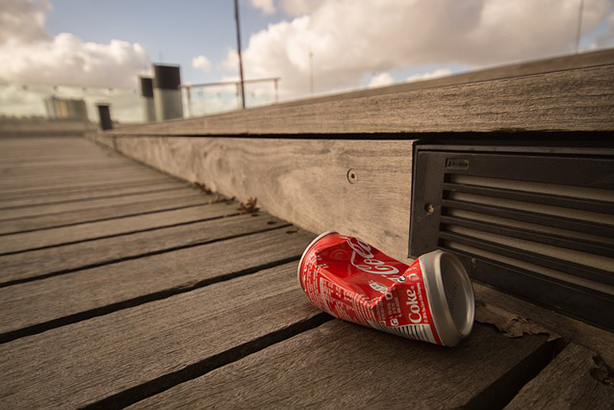 The plans for what the government describes as a "world-class national anti-littering campaign" were revealed in the first litter strategy for England, which was unveiled by Environment Secretary Andrea Leadsome earlier this month. Litter louts will face punitive fines of up to £150 a time under the government’s crackdown on rubbish. The new approach aims to reduce the burden to the taxpayer of cleaning up litter – which costs local government some £778m a year to deal with. The government has pledged to join forces with organisations that work with young people, such as the National Citizen Service, and the Scouts Association, to discourage littering and raise awareness of the environmental and economic costs of rubbish. The new strategy states: "Our first national anti-littering campaign will be specifically designed to appeal to young people." It adds: "A compelling communications campaign is a common feature of almost all successful international approaches to tackling litter." Although there have been various high-profile campaigns, such as those run by Keep Britain Tidy, since the 1970s: "there is now a need for a more joined up approach led by Government, in order to develop a world-class national anti-litter campaign to help deliver sustained behaviour change for this generation," according to the strategy. "We will fund some initial work on the campaign, but will then look for the campaign to be delivered and funded by a coalition of partners from the private sector, the public sector and from the voluntary sector," it adds. The Government’s role will be in developing "a unifying campaign identity with central creative campaign designs and materials to be adapted and used locally." An approach focussed on raising awareness and changing behaviour, with "some targeted paid-for media" will be taken in what will be an "evidence-based" campaign. Academics, campaigners and industry representatives have been brought together to come up with the new national anti-litter campaign - which is due to be launched by next year. The national campaign working group includes experts from Warwick University’s Behavioural Science Group; campaigners from the Campaign to Protect Rural England, Clean Up Britain, and Keep Britain Tidy; as well as representatives from Coca Cola, among its members. Defra minister Lord Gardiner is "optimistic about the new national anti-litter behaviour change campaign that government will lead, with funding and delivery by a coalition of partners including private sector, public sector, voluntary sector and media partners." But, writing in the foreword to the new strategy, he makes a veiled threat on what might happen if things don't go according to plan: "The voluntary approach is preferable and we want the private sector to work closely with us, but we are not ruling out the possibility of further regulation if that is what is required to achieve real change."